A car accident is an extremely frazzling thing to experience. You’re in a state of shock and you can feel your hold body shaking. But, the important thing is that you’re alive and no one got hurt. Though you might be overwhelmed, it’s important that you get the documentation you need to file a claim. Documenting the damage is probably one of the most important things you can do at that moment, especially if later you must have proof of the damage. This is a lot easier to do nowadays because according to the Pew Research Center, around 77% of Americans own a smartphone, which will 100% of the time will have a camera. At One Law Group in Beverly Hills, we understand the importance of photos of the accident scene and property damage. They can put an end to any doubts or disagreements raised by the other driver or their insurance company. An overall view of the accident, with multiple angles. 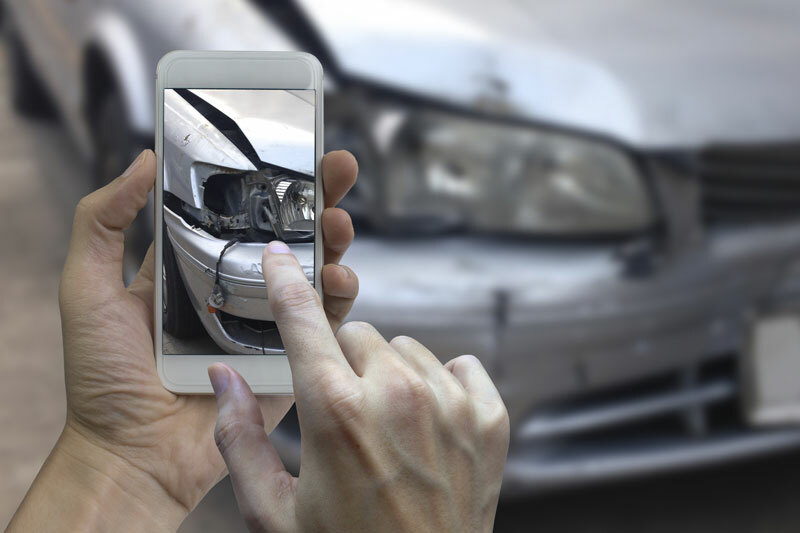 Many people don’t’ realize how important accident scene photos is as evidence when it comes to their car accident claims. And of course, it is also important to remember what safety comes before anything else in these situations. Check on yourself or others involved before your start turning into the car accident paparazzi. Also, be careful of how much you share online, especially of other photos of people. And whether or not you have photos of the accident scene, there are other ways recover car accident damages. Contact One Law Group in Beverly Hills for a consultation to go over your legal options.